"Really enjoyed our stay here. Apartment is attractive, clean and sufficiently equipped - feels homely. Right on the beach, but upstairs for privacy. Arrangements went smoothly - the owner was very helpful, and even understood my very basic Spanish.We were made to feel welcome, but allowed our privacy. Will (hopefully) return next year." "The location is surely beautiful, and the manager was welcoming, and helpful. The kitchen equipment is on the primive side. More importantly, there is no terrace adhering to this first floor apartment, which the ad leads you to assume. Also, there is not what you normally mean by balcony; simply a bit of room for a small table right in front of the entrance door. Thirdly, there is not satellite TV, and the TV set is of no quality at all. Not that TV is an essential feature for an El Cotillo holiday, but the ad is plainly incorrect, and that is not acceptable." 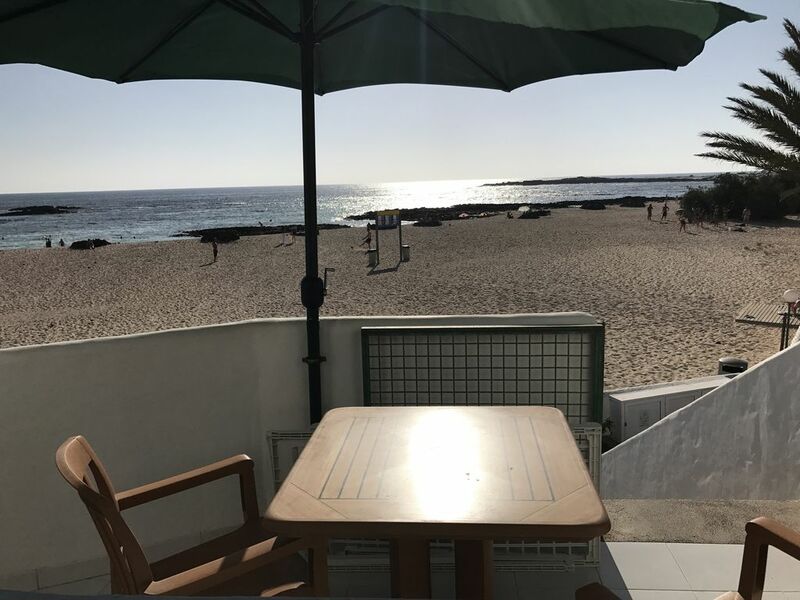 "Hemos disfrutado mucho de la semana en el Cotillo, el apartamento fue todo que esperábamos. Nos quedaríamos allí otra vez sin duda!" "AMBIENTE AMPIO E CONFORTEVOLE CON ACCESSO DIRETTO ALLA SPIAGGIA DI EL COTILLO LA PIU'' BELLA DELL''ISOLA"
"nos gustó mucho a nuestra familia, lo único que echamos en falta fue tener unas contraventanas o algo que nos permitiese oscurecer un poco el apartamento por la noche, ya que cuando amanece en seguida entra mucha luz. pero genial"
There are good restaurants that prepare the best fish in the area, and some that specialize in tapas. tarifas decrecientes en función de la duración, arras/deposito de reserva, entrega de llaves realizada por propietario . El apartamento se debe devolver limpio y recogido.